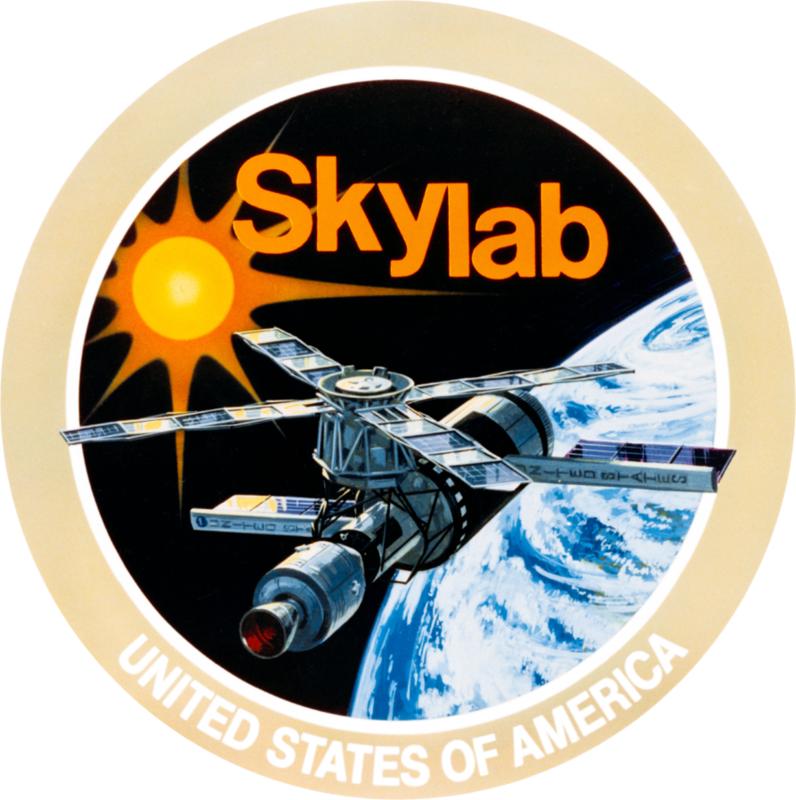 16 November 1973: Skylab 4 lifted off from Launch Complex 39B, Kennedy Space Center, at 14:01:23 UTC. 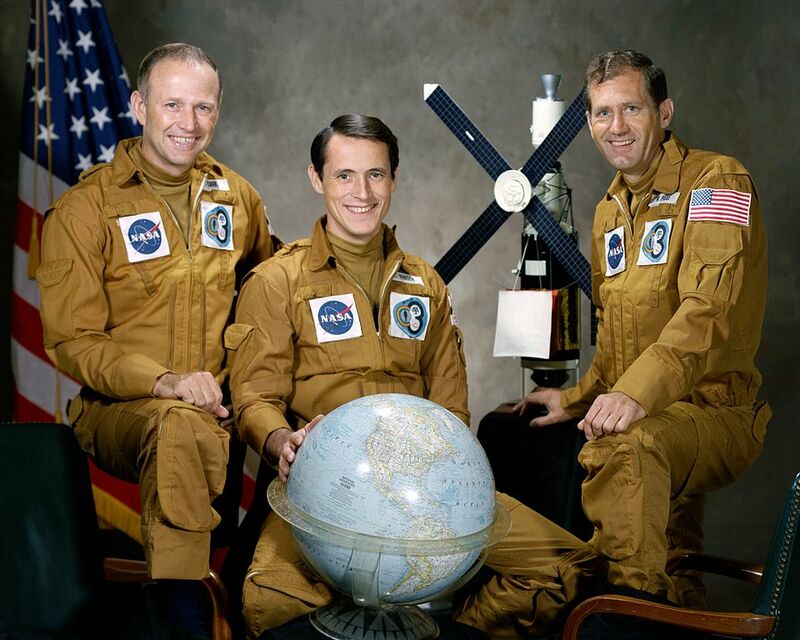 Aboard the Apollo Command and Service Module were NASA astronauts Lieutenant Colonel Gerald Paul Carr, U.S. Marine Corps, Mission Commander; Lieutenant Colonel William Reid Pogue, U.S. Air Force; and Edward George Gibson, Ph.D. This would be the only space mission for each of them. 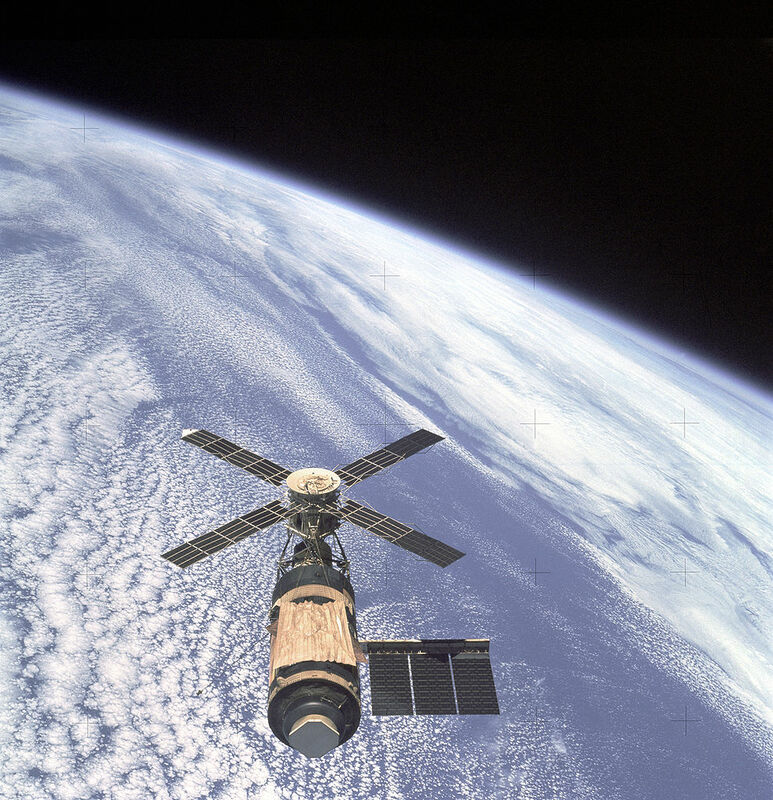 They would spend 84 days working aboard Skylab. The launch vehicle was a Saturn IB, SA-208. This rocket had previously stood by as a rescue vehicle during the Skylab 3 mission. 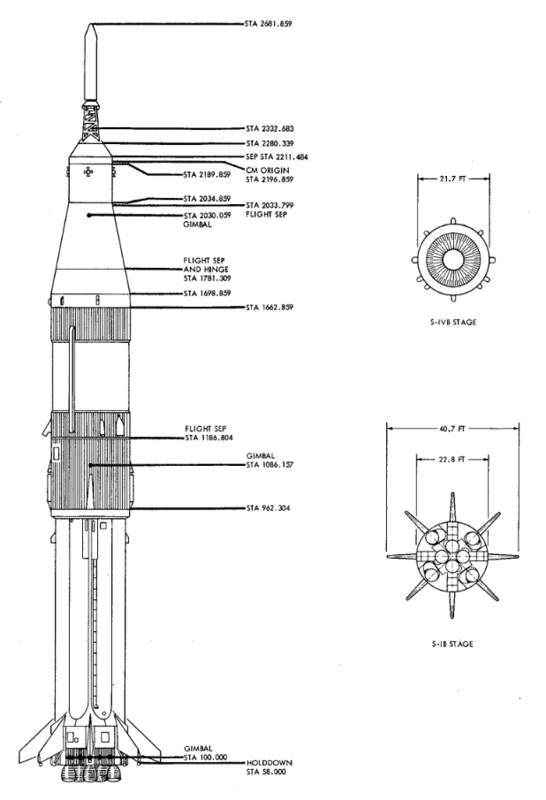 The Saturn IB consisted of an S-IB first stage and an S-IVB second stage. 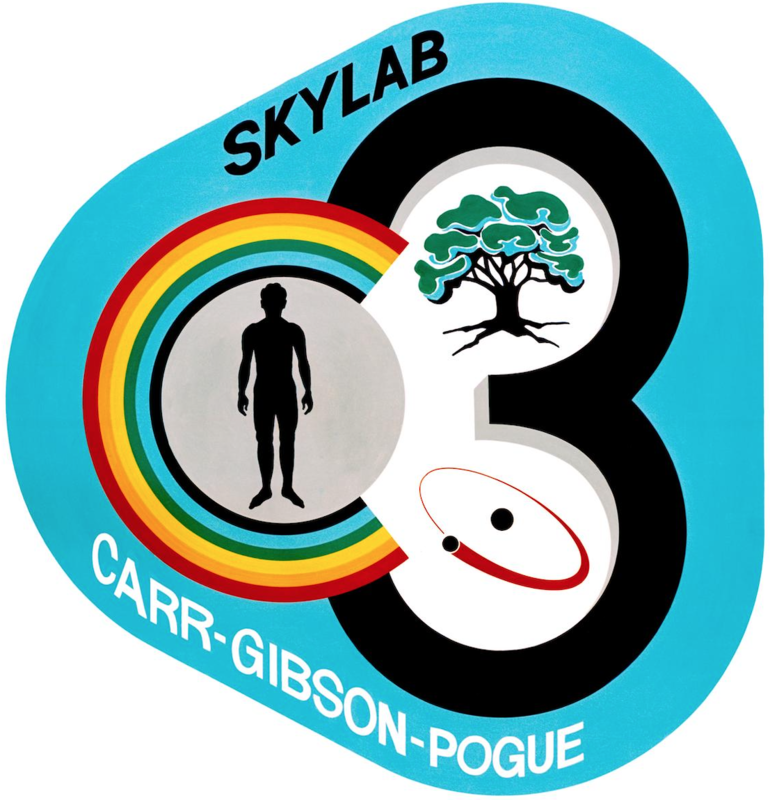 The S-IB was built by Chrysler Corporation Space Division at the Michoud Assembly Facility near New Orleans, Louisiana. It was powered by eight Rocketdyne H-1 engines, burning RP-1 and liquid oxygen. Eight Redstone rocket fuel tanks, with 4 containing the RP-1 fuel, and 4 filled with liquid oxygen, surrounded a Jupiter rocket fuel tank containing liquid oxygen. Total thrust of the S-IB stage was 1,666,460 pounds (7,417.783 kilonewtons) and it carried sufficient propellant for a maximum 4 minutes, 22.57 seconds of burn. First stage separation was planned for n altitude of 193,605 feet, with the vehicle accelerating through 7,591.20 feet per second (2,313.80 meters per second). The McDonnell Douglas Astronautics Co. S-IVB stage was built at Huntington Beach, California. It was powered by one Rocketdyne J-2 engine, fueled by liquid hydrogen and liquid oxygen. The J-2 produced 229,714 pounds of thrust (1,021.819 kilonewtons), at high thrust, and 198,047 pounds (880.957 kilonewtons) at low thrust). The second stage carried enough fuel for 7 minutes, 49.50 seconds burn at high thrust. Orbital insertion would be occur 9 minutes, 51.9 seconds after launch, at an altitude of 98.5 miles (158.5 kilometers) with a velocity of 25,705.77 feet per second (7,835.12 meters per second). 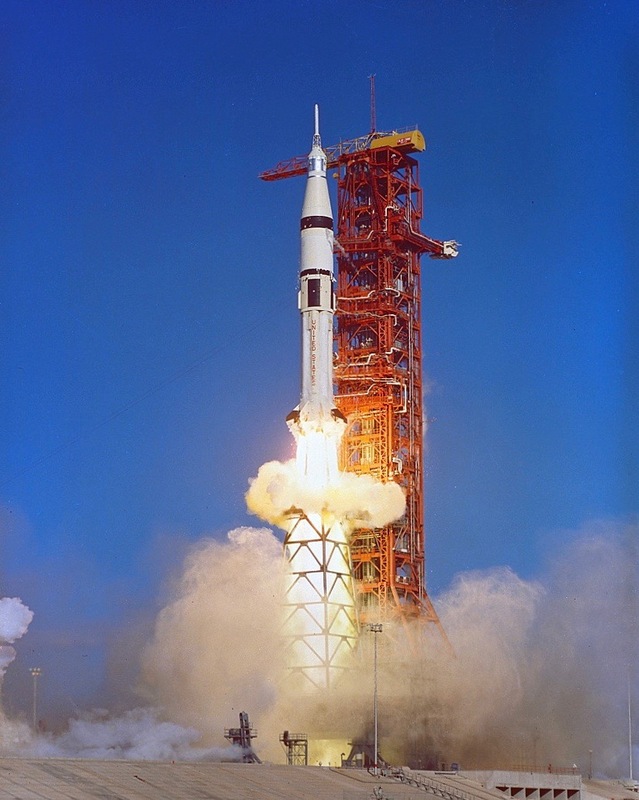 The Skylab-configuration Saturn IB rocket was 223 feet, 5.9 inches (68.119 meters) tall. It had a maximum diameter of 22.8 feet (6.949 meters), and the span across the first stage guide fins was 40.7 feet (12.405 meters). Its empty weight was 159,000 pounds (72,122 kilograms) and at liftoff, it weighed 1,296,000 pounds (587,856 kilograms). It was capable of launching a 46,000 pound (20,865 kilogram) payload to Earth orbit.